Here is our pure coir drying naturally in the sunshine. It really needs drying out after being washed for four months in fresh water ! We compress the particles between these fibres - the coir `peat` - to save shipping space on the scheduled ships we use. 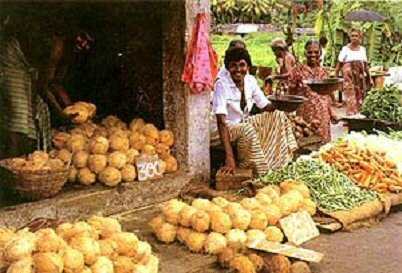 Our coir comes from the beautiful, friendly but so troubled country of Sri Lanka. We so passionately believe that fair trade is the best possible aid, allowing countries to develop with dignity, naturally. 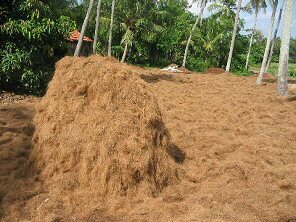 Coir comes from the waste husk of the coconut. Nothing is wasted, replacement gives employment, and the palms growth helps reduce C02 - what a wonderful way of saving the peat ! PEAT - what brought peat into this ? 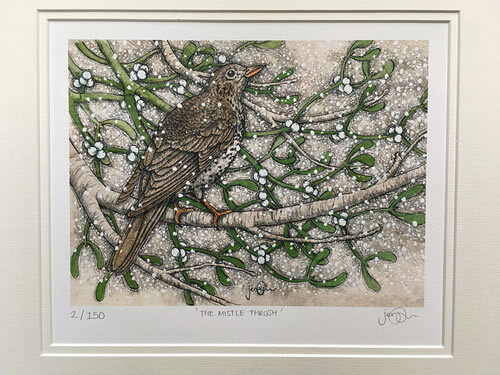 Do you know peat wetlands are not only wonderful reservoirs of wildlife, but fragilely hold huge amounts of carbon from escaping into the atmosphere [one third of the world`s soil carbon]. Can you just think what digging up this peat does to global warming and climate change ! 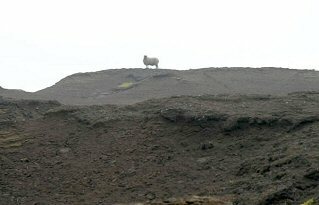 Other reasons for stopping to dig that peat ? How about stopping removing natural flood defences, stopping removing the purest natural filter for our ever more scarce water resources, stopping removing a unique, fascinating archive of the earth`s history - and ours. Need any more reasons to stop using peat ? Well it takes thousands of years to replace - if we have not irreparably damaged the water table ! 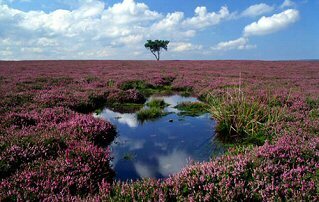 Only about 5% of our lowland peat bogs remain untouched - and the government has introduced very tough regulations regarding further extraction in this country. So now we let the rest of the world cause the damage! So why Coir - why back to a material the Victorians used by the shipload ? Because it`s natural, sustainable and biodegradable. It grows , using it helps the environment - not despoil it. O.K. it may need some help with greedy plants - but that`s where Nature helps again. Add some organic Neem, with some sustainably harvested seaweed fertilizer - ours comes from the cool, clear waters of the Shetland Isles - and you have a wonderful, natural growing medium. We know, because coir, these organic fertilizers and our own green garden compost are really all we use. Put something back - and let nature give you wonderful blooms and vegetables ! 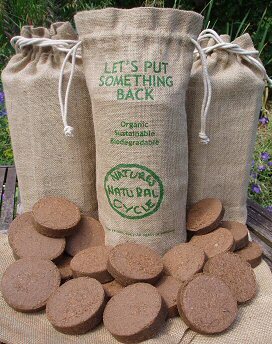 Large bags are a bit big to sell online - although check out our links - so we offer handy discs, each offering about a litre of coir compost. A disc`s worth of coir compost fits beautifully into our 13 cm organic coir pots ! Complete with our organic `no waste` Jute Bag, ideal for seed potatoes, onion sets, bulb store, oh,loads of uses!